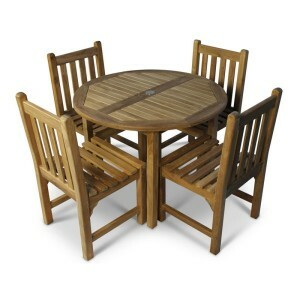 Garden Oasis have a range of Wooden Patio Sets made from a selection of different woods to suit your style and budget. 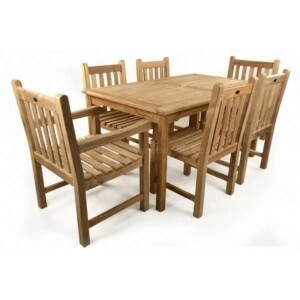 Whether you are looking for a compact bistro table and chairs to seat two or something more substantial to seat the whole family, our range of wooden patio sets are durable, made from responsibly sourced timber and delivered to your door free of charge. Use the filters on the left to narrow down your search by size, shape or type of wood to find the patio set that is right for you. 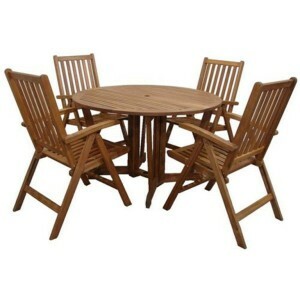 The Abbey Round Table & 4 Chair Garden Set by Zest provides a lovely seating area to relax and s.. 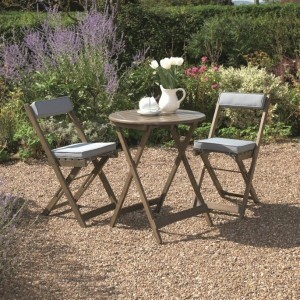 The Abbey Square Table & 4 Chair Garden Set by Zest provides a lovely seating area to relax and .. 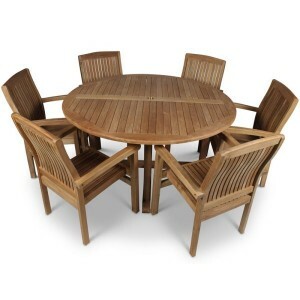 The Bahama Oval Table & 4 Stool Set by Zest is ideally designed for four people to enjoy dining .. 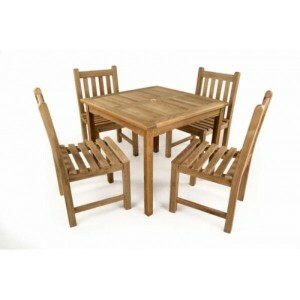 The Devon 4 Seater Dining Set has a beautiful traditional design. Constructed from Keruing hardwoo.. 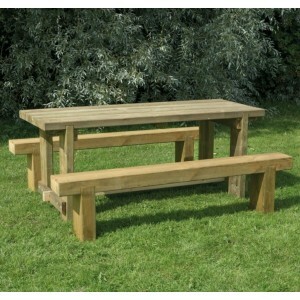 The Emily Table and Bench Set by Zest is a stylish set of garden furniture, suited to any garden or .. The Harriet Table and 2 Bench Set by Zest marries up style and sturdiness perfectly. The solid desig.. The Henley 5pc Dining Set with Recliner Chairs by Royalcraft is a gorgeous set for dining or sociali.. The Homestead 4 Seater Patio Dining Furniture Set by Royalcraft is the perfect addition to any outdo.. 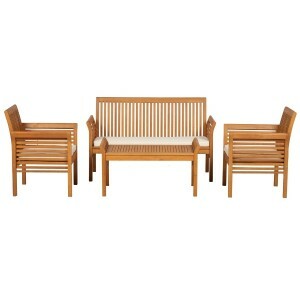 The Little Warwick Teak Patio Set may be small in stature but is very big on style. Classically d.. 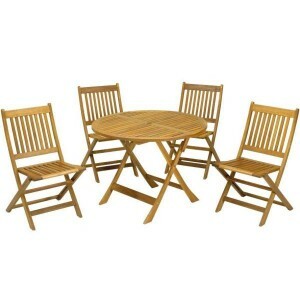 The Madison 6 Seat Round Patio Set set from Brackenstyle is the perfect garden furniture for enterta.. The Manhattan 4pc Coffee Set by Royalcraft is a delightful 4 piece wooden coffee set, which is sure .. The Manhattan Garden Furniture from Royalcraft is crafted from traditional hardwood to create a p.. The Manhattan Table and Chairs from Royalcraft is crafted from traditional hardwood to create a p.. 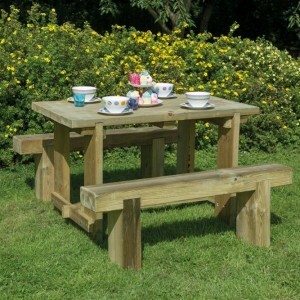 The Philippa Table Bench & Chair Set by Zest is designed to cater for a larger party of up to 8 .. 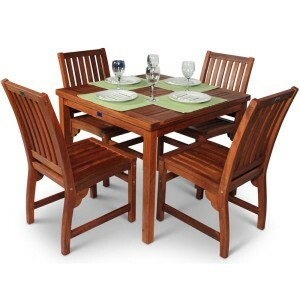 The Raffles Bistro Set from Greenhurst is crafted from sustainably farmed Acacia hardwood that is.. Beautifully crafted from responsibly sourced weather-resistant acacia hardwood, this contemporary Ri.. 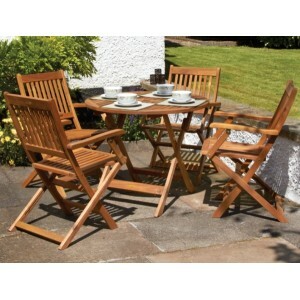 This stylish 4 Seat Teak Bistro Set from Brackenstyle is made from grade A teak which is rich in nat.. 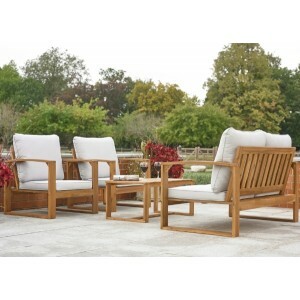 The traditionally styled Warwick Teak Patio Set presents the perfect setting for summer entertain.. 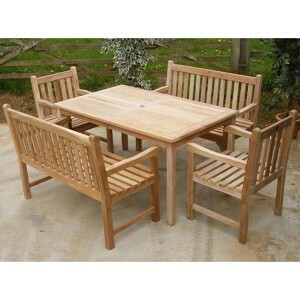 The Warwick Teak Bench Dining Set offers an attractive combination of high quality garden furniture ..